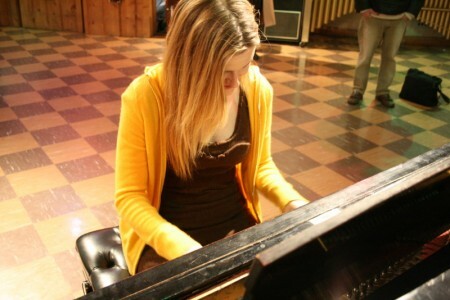 Interspersed with plenty of modern musical goodness, one of the coolest things I got to do in Nashville this weekend was visit Studio B, where everyone from Buddy Holly and the Everly Brothers, to Dolly Parton and Porter Wagoner, to Johnny Cash and Elvis have recorded songs (here’s a good article on it). It’s a small, nondescript building of few rooms and mostly tan decor, with checkered linoleum floors. It feels largely untouched by time, and my imagination ran a bit wild walking around in there. The tour ends up in the main studio space, which we could go into because it wasn’t in use this past Saturday, as it often is (My Morning Jacket just recorded a song for the Shel Silverstein tribute album there). 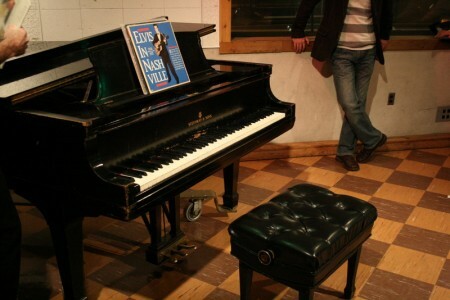 The focal point your eye lands on is the Steinway piano that Elvis used during his many recording sessions there, and apparently loved so much he tried to buy it several times to no avail. 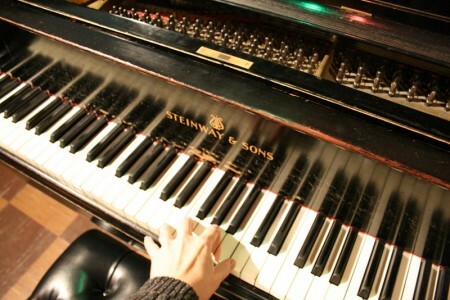 Towards the end of the tour, the guide leaned over and asked me if I played piano (why did I never learn, for this moment?!) and I replied no, but that my friend Bethany did. He called her over to Elvis’ bench, and she managed to eke out a gorgeous little Coldplay rendition on short notice, with trembling hands. 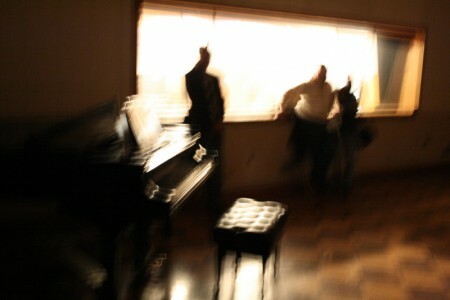 “Are You Lonesome Tonight” was also recorded in this same room, at 4am in the morning. According to our guide, Elvis requested all the lights be turned off for the recording (and towards the end of the song, if you listen with good headphones, you can hear a quiet thump as Elvis bumps his head on the microphone since it was too dark to see). I was telling Bethany afterwards that I completely connect with how a song of such longing was actually recorded during those “longing hours,” and not artificially manufactured at 9:30am on a Tuesday, if that makes any sense. That’s a wonderful story. What a historical room! Bethany doesn’t happen to be single, does she? “I completely connect with how a song of such longing was actually recorded during those “longing hours,” and not artificially manufactured at 9:30am on a Tuesday, if that makes any sense.” – YES!